a Link to the CD and DVD releases by this Legendary Band. 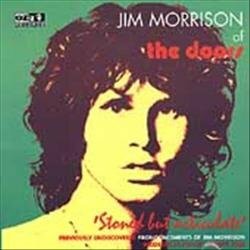 Jim Morrison CDs & DVDs - click here! In 1967 The Doors leapt straight into the Vietnam era's heart of darkness with a sound that contrasted sharply with the upbeat mid-'60s British Invasion and American rock 'n' roll bands. 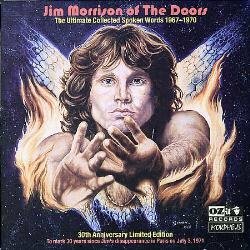 The fusion of Jim Morrison's disturbing poetry and Ray Manzarek's brooding organ yielded a shadowy body of work that remains unique and unmistakable to this day. 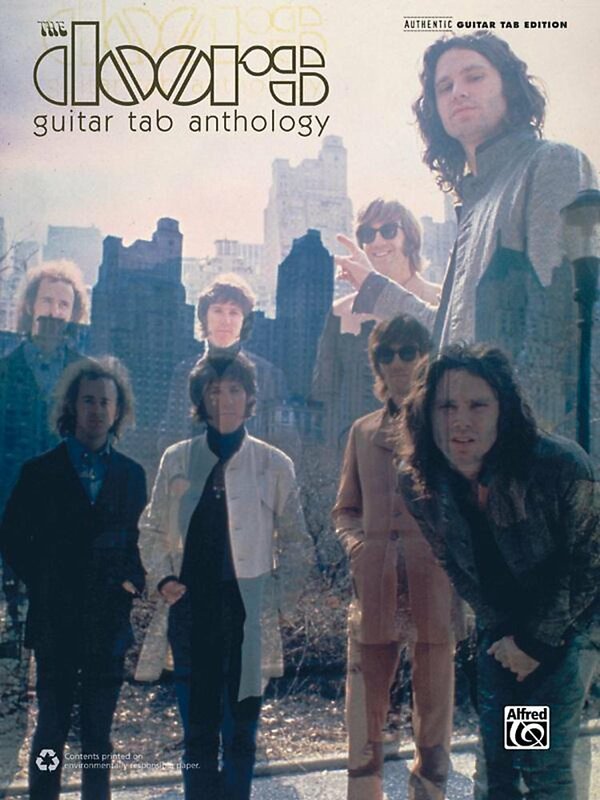 With this book, you will learn all of the great guitar parts to The Doors' most classic songs. 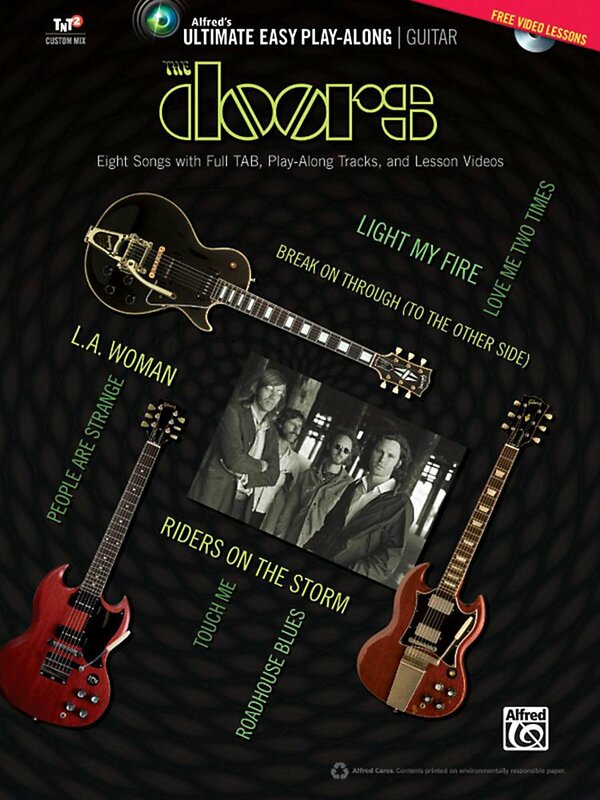 To make learning Robby Krieger's parts both fun and easy, the included DVD contains complete, easy-to-follow video lessons for each song. And if you use the disc in a computer, you can access sound-alike and play-along MP3s of every tune, and our exclusive TNT 2 software that lets you create your own custom mixes for practice. Titles: Break on Through (To the Other Side) • L.A. Woman • Light My Fire • Love Me Two Times • People Are Strange • Riders on the Storm • Roadhouse Blues • Touch Me. 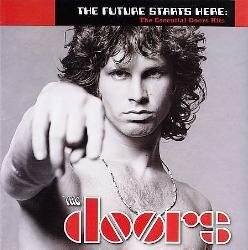 The Doors were one of the most influential rock bands to come out of Los Angeles. Thanks to Jim Morrison's uncompromising lyrics and Ray Manzarek's memorable keyboard lines, the band will forever hold a special place in rock and roll history. 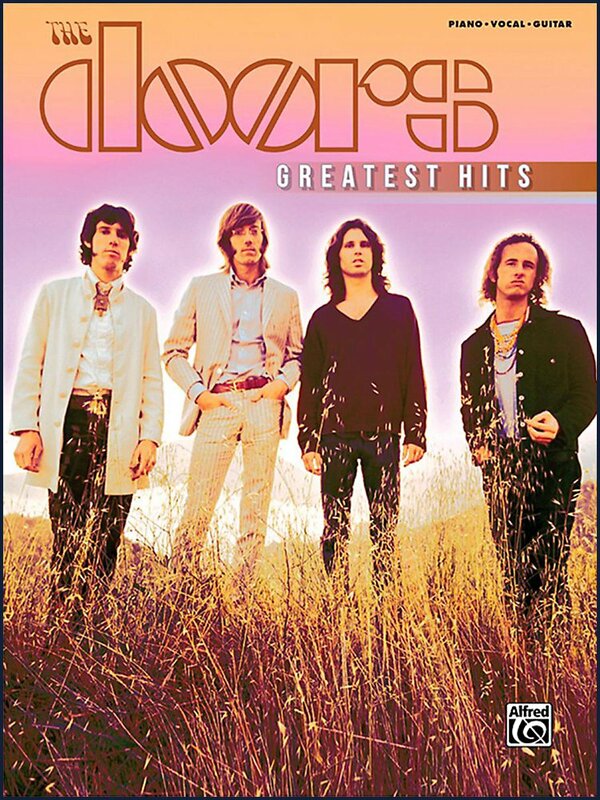 This collection includes songs from their top- selling Greatest Hits album, and features piano parts, guitar grids, vocal melodies, and lyrics. Titles: Hello, I Love You • Light My Fire • People Are Strange • Love Me Two Times • Riders on the Storm • Break On Through (To the Other Side) • Roadhouse Blues • Touch Me • L.A. Woman • Love Her Madly • The Ghost Song • The End. The Doors are inextricably linked to '60s counterculture. 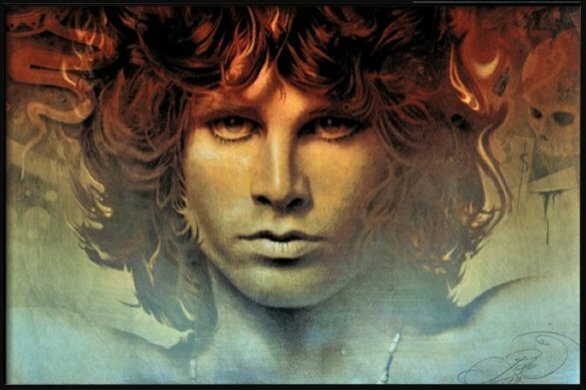 Taking their name from Aldous Huxley's book The Doors of Perception, the group followed Jim Morrison's dark poetic vision to massive commercial success, making The Doors one of the best-selling bands of all time. This folio contains easy guitar arrangements of 16 of the band's most classic songs, in both notation and TAB. Titles: Back Door Man • Break on Through (To the Other Side) • Hello, I Love You • L.A. Woman • Light My Fire • Love Her Madly • Love Me Two Times • Love Street • People Are Strange • Riders on the Storm • Roadhouse Blues • Soul Kitchen • Strange Days • Touch Me • Twentieth Century Fox • Waiting for the Sun.